Brad Vynalek serves as a counselor and advisor on strategy, exposure, and enterprise opportunity for clients ranging from local start-ups to Fortune 500 companies. Brad works very closely with law departments to create and manage budgets and create optimal teams for a variety of legal services in the banking, high-tech, Internet, software, manufacturing, e-commerce, health care, higher education, and tech transfer industries. Within the firm, in addition to having been elected to the national management committee, Brad holds national roles ranging from client service team leader to national strategy partner. Since joining the firm 20 years ago, Brad's roles have ranged from recruiting law school students and lateral attorneys for the firm nationally to leading mentoring and strategic growth initiatives. Meanwhile, he also has provided pro bono services for the Volunteer Lawyers Program, Wills for Heroes, and the National Center for Missing and Exploited Children. Outside the firm, Brad holds leadership roles in several professional and community activities. He has served as Chair of the Board of Directors of Make-A-Wish of Arizona, the founding chapter of the nonprofit dedicated to granting wishes to children with life-threatening illnesses. He has also served as President of the University of Arizona Law College Association. Within the profession, Brad routinely advocates on behalf of the organized bar before Congress, on issues ranging from pro bono funding to the protection of the attorney-client privilege. 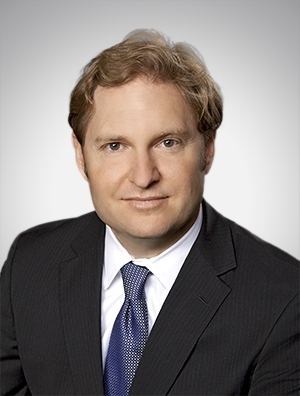 He was appointed to serve as co-chair of the American Bar Association’s 2014 Section of Litigation Annual Conference. Before law school, Brad was a Public Service Honors Scholar at Stanford University. He focused his studies on the U.S. Senate confirmation process for Supreme Court Justices and authored a thesis analyzing the process and the justice’s commitment to judicial service. After Stanford, Brad worked as a tennis instructor and waiter to fund travel in the U.S. and New Zealand, volunteer for the Olympic Committee in Atlanta, and work at Stanford Sierra Camp at Fallen Leaf Lake in Lake Tahoe, CA. Brad returned to his hometown of Tucson for law school at the University of Arizona. Highlights from law school include: introducing the ‘97 U of A National Men’s Basketball Championship Team to Justice Sandra Day O’Connor at the U.S. Supreme Court, providing student commencement remarks at graduation, studying political democracy in Prague, and working on Capitol Hill in the personal staff office of Senator John McCain. Brad has provided keynote remarks in a variety of settings and both sat on and moderated national panels. He is a graduate of Flinn-Brown Civic Leadership Academy, Valley Leadership, and the Center for Creative Leadership Lawyer-Leader Program. In collaboration with the Arizona Commerce Authority and the Phoenix Business Journal, Brad created a business leadership summit series bringing together top Arizona CEOs to share lessons on succession planning, overcoming challenges, and innovation. University of Arizona Law College Association, President (2012 to present): Served on board and led committees since 2000.